Sewage—refuse liquids or waste matter usually carried off by sewers—is at the front lines of a global movement for clean energy. Innovative U.S. cities are digging into their dirtiest depths to create new sources of power that optimize economic benefits, generate clean energy, and control pollution. 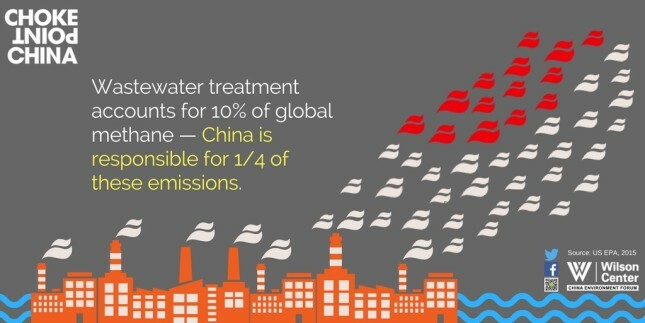 This wastewater-to-power movement is just beginning to catch on in China. But with some of the largest and most densely populated cities in the world, the country could be poised to lead a sludge-to-energy revolution. As Chinese cities have grown rapidly over the past decades, untreated sludge—the toxic byproduct of the municipal sewage treatment process—has quietly contaminated China’s soil, groundwater, and croplands. Strikingly, the magnitude of the country’s sludge problem and pollution risks did not come to light until late 2013, when Caixin journalists followed trucks from a central Beijing wastewater treatment plant to the city’s outskirts, where the drivers illegally dumped untreated sludge into farmers’ fields. After this expose, concerned citizens mapped the more than 30 sludge mountains encircling the capital. 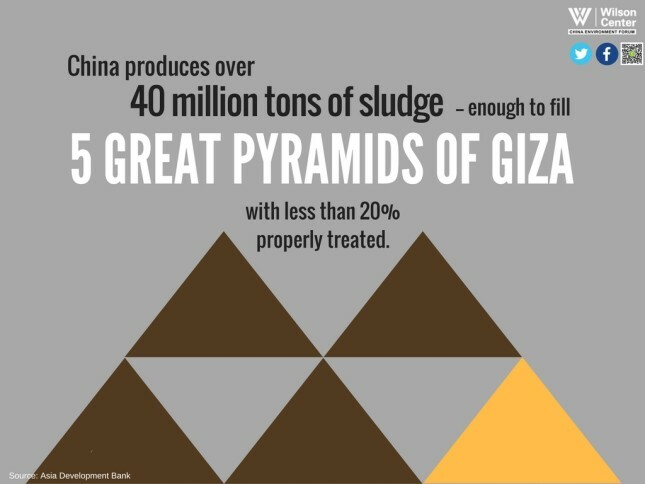 China’s wastewater plants produce more than 40 million tons of sludge annually—enough to fill five great pyramids of Giza—but less than 20 percent is treated. Chinese cities have largely relied on exporting sludge to landfills and incinerators or illegally dumping untreated sludge into waterways or onto farmland. China’s wastewater treatment plants, incineration plants, and landfills are major contributors to air pollution. With hardly any space left in its landfills, China increased its incineration capacity tenfold between 2003 and 2013, releasing air toxins linked to higher rates of cancer. China is also the world’s top emitter of greenhouse gases; its wastewater plants are responsible for a quarter of global wastewater emissions of methane, a potent greenhouse gas that traps heat 28 times more powerfully than carbon dioxide. Methane—which is a dangerous greenhouse gas when released into the atmosphere—can be captured, burned, and used as a valuable energy source. Capturing and using methane lies at the heart of the waste-to-energy revolution. The success of China’s waste-to-energy transition will hinge on whether the country can implement the right mix of policy directives, market incentives, partnerships, and successful operating models for methane capture. 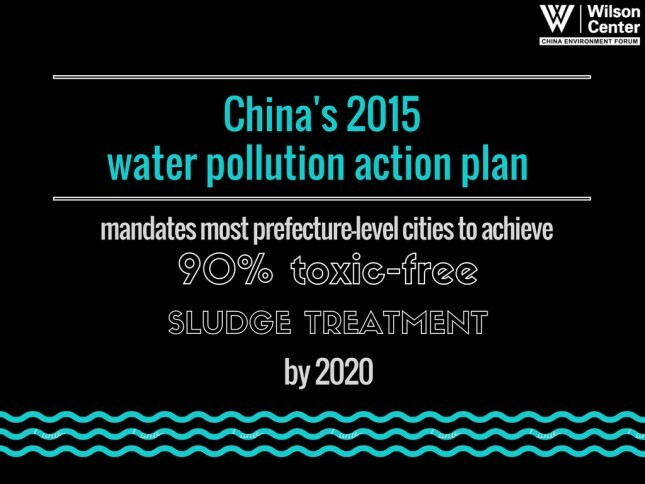 Encouragingly, China’s 2015 Water Pollution Action Plan tackles the country’s long-overlooked wastewater/sludge problem by setting ambitious targets to improve its underdeveloped sludge treatment capacity. The plan mandates that most prefecture-level cities must achieve 90 percent toxic-free sludge treatment by 2020. However, although methane capture and utilization technologies have existed for decades, Chinese city managers and energy and water utility operators have only just begun to explore how to turn sludge into energy. The 50+ sludge-to-energy pilots in China have faced policy, governance, and financing obstacles have kept most of them from succeeding. U.S. cities such as Boston, Oakland, Washington, and Portland have tapped into the waste-to-energy revolution by extracting methane as a biogas from nutrient-rich sludge. These cities are closing the loop in waste and sanitation treatment and producing significant multifaceted benefits and clean energy solutions—and could offer potent partnership and learning opportunities for Chinese cities. U.S. cities have employed innovative economic models and technology to best use the resources hidden in wastewater, such as extracting biogas for on-site heating and clean vehicle fuel in Portland, Oregon, and producing digestate used for soil amendments and fertilizers in Washington D.C. Treatment plants that capture methane can use it to power their treatment operations, saving money and reducing their carbon footprint at the same time. However, immense infrastructural changes certainly do not happen overnight. For Chinese cities in particular, a number of key challenges and requirements loom large. China’s 13th Five-Year Plan highlights a huge financing deficit—31.6 billion RMB (4.6 billion USD)—for advanced sludge treatment and disposal facilities. Whereas methane capture requires a high level of organic content, most of China’s current drainage systems combine wastewater and storm water, resulting in consistently low levels of organic matter and high sand content. 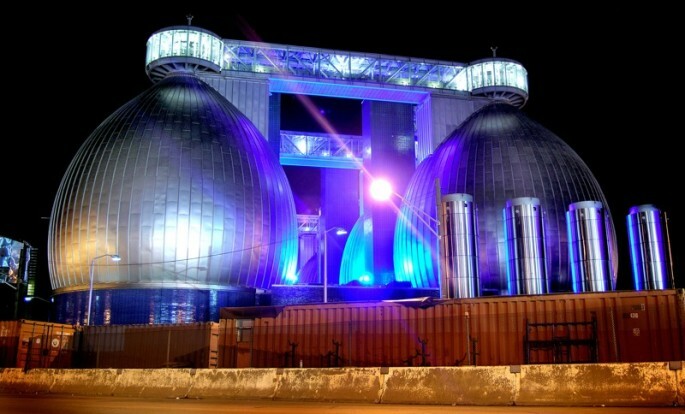 A handful of cities in China are starting to follow the lead of U.S. cities and use food waste to boost sludge’s organic content through anaerobic digestion. Beijing is already building five sludge-to-energy plants that utilize anaerobic digestion with a capacity of more than 6,000 tons of sludge per day. But for China’s massive sludge mountains, the solution is more complicated than simply employing anaerobic digestion technology. The quality and amount of sludge and potential markets for methane, as well as other products, varies in each city. Many Chinese cities realize there is no “one-size-fits-all” technology to address the varying municipal and industrial sludge challenges. As the articles in InsightOut demonstrate, cities wrestling with sludge problems must also create the right policy and market incentives to encourage the capacity for a thriving waste-to-energy movement. But as the Chinese government pushes for ambitious water targets and low-carbon development goals, and as global expertise grows, the opportunities for advancing sludge treatment and mitigating methane emissions have never been riper. Jillian Du is a researcher at the World Resources Institute’s Ross Center for Sustainable Cities. From 2016-2017, she worked as a research assistant and consultant for The Wilson Center’s China Environment Forum. This report is part of China Environment Forum’s InsightOut issue named Waste Power: Can Waste-to-Energy Revolutionize Pollution Control and Clean Energy in Chinese Cities?